Here are a few alternative energy crowd funding projects that you may find interesting. 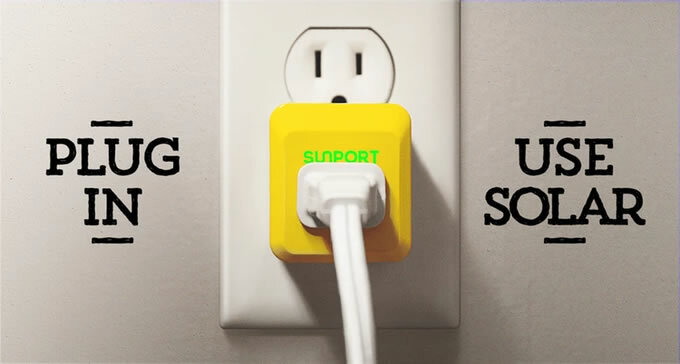 SunPort - Plug into Solar. No Panels Required. SunPort™ is not your typical solar product. It doesn’t have solar panels and it won’t save you money. But it could help you save the planet. Instead of making solar energy, SunPort makes real solar energy accessible and affordable so anyone can use it. So how can you get real solar without panels? You can’t. Real solar only comes from panels, but you don’t need to own them. You just need to ask the people with the panels for their energy. Think of SunPort as a smart solar delivery device, or demand device. It solar-powers anything you plug in by measuring the electricity you take from any wall outlet and automatically upgrading it to solar using certified solar credits. No panels required. We make everlasting devices for a sustainable future. Our dream? No more batteries. Let's harness the power of the energy that already surrounds us. The water that flows, the Sun that shines, the energy in every movement that we make when we interact with things everyday, every time. We have taken this energy and used it to power the devices that we use day to day. 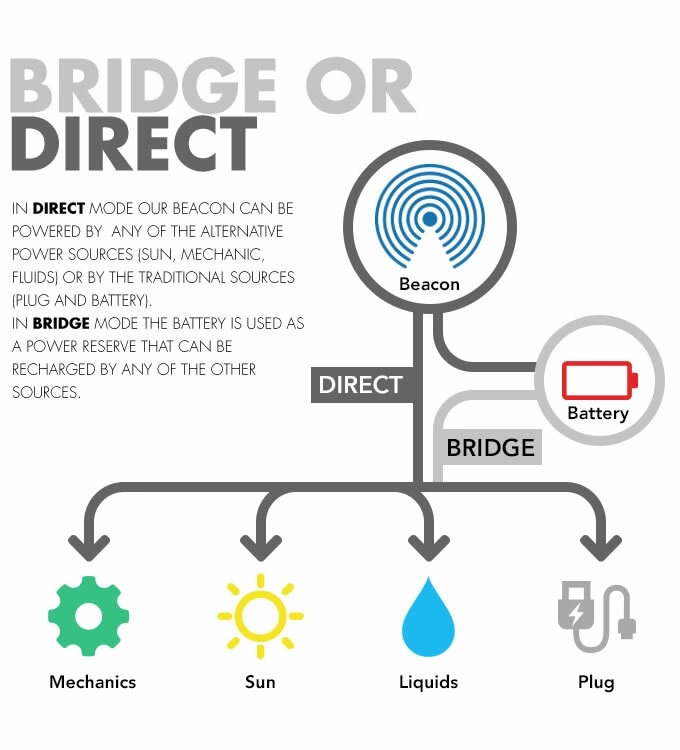 Our beacon is designed to be power efficient, it can be powered with up to 40% less powerthan the current battery-powered beacons on the market, at the same range. We leverage the latest advances in semiconductor technology to be able to operate on different low-power energy harvesting sources, and if running on battery our beacon can last 25% longer than the competition... or using a 30% smaller battery. The devkit proposed in this campaign is just the beginning of our vision. Unlike standard ibeacons, which run on battery and emit a cyclical signal, one of the most interesting and innovative qualities of our ibeacon is that it can use both sensors and energy harvesting as triggers to emit its signal. Thin, Light, Fast: With Solar Paper we’re making the thinnest and lightest solar charger that can reliably charge your smartphone in about 2.5 hours on a sunny day. That’s about the same as a wall charger. Goes Anywhere: Solar Paper is so lightweight that outdoorsy types can clip it to a backpack and charge while hiking. Urban adventurers can easily slip it into a jacket pocket or notebook. Reliable and Easy to Use: Most solar chargers shut down and need to be manually reset after a cloud passes overhead and the voltage drops. 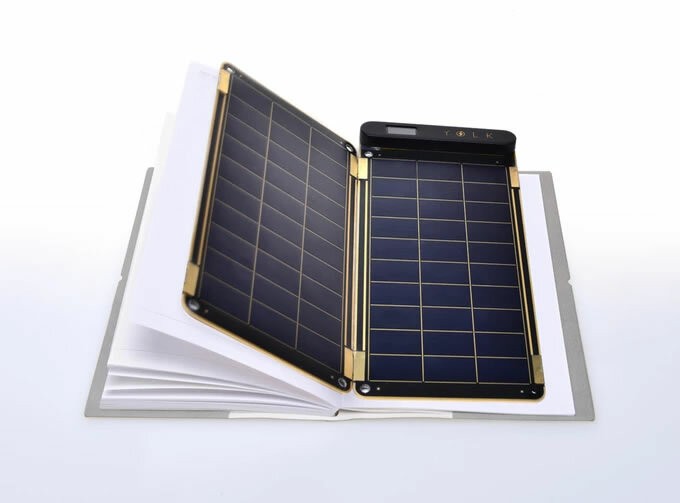 Solar Paper automatically resets itself so you can keep charging, hassle free. Expands with Magnets: The basic 5 watt Solar Paper can charge your smartphone on a sunny day. If you need more power to charge a tablet, or to charge on a cloudy day, you can click new magnetic panels into place.